ACORN (Association of Community Organizations for Reform Now) Canada is an independent national organization of low- and moderate-income families. We have over 70,000 members organized into twenty neighbourhood chapters in nine cities across Canada. ACORN believes that social and economic justice can best be achieved with a national active membership who are invested in their organization and focused on building power for change. 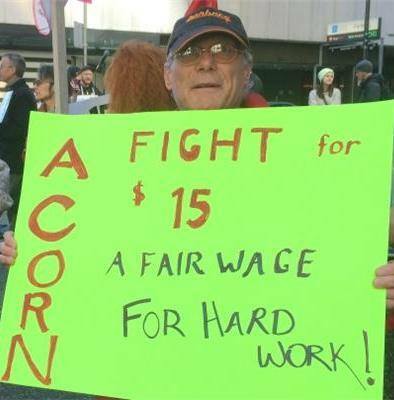 The Social Justice Fund supports ACORN Ottawa campaign to obtain a $15 living wage and decent and affordable housing.